Save yourself from climbing up on a ladder, and risking your safety on the top of your roof. Many people injure themselves each year falling from the height as they are not properly trained to undertake the tasks of maintaining and repairing their roof. Instead of taking this risk, talk to our team today. At Aabacus Roofing, we have a team of qualified and insured professionals who are ready to help in protecting the structural integrity of your roof and take on the maintenance needed. With our high-pressure cleaning services, we can get rid of anything that could potentially damage or impair your roof and leave you and your home safe. 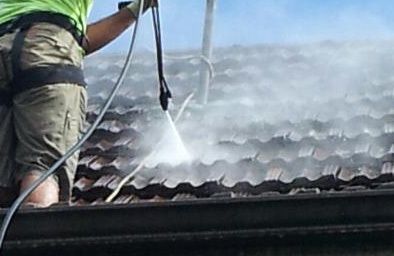 Whether you’re in Epping, Gladesville, Ryde or other nearby Sydney suburbs, our high-pressure roof cleaning service can help. Call today! Contrary to popular belief, rainwater is not the solution to cleaning your roof. Not only can environmental factors cause damage to your roof, but leaving your roof dirty can lead to dark stains of moss, algae and mould to grow. This can quickly cause decay in your roof, and also leaves the general aesthetic of your home at a low and damage the lifespan of your roof. Build-up of leaves and branches can also be a huge fire risk, and in the Australian summer this is not something that you would want embedded in the roof of your home. To avoid the deterioration in your roof, and decrease the risk of fire hazards you need a high-pressure cleaning service to ensure that nothing is left behind. 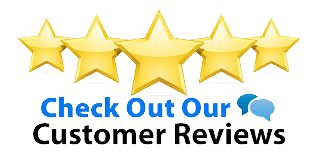 Aabacus Roofing use only the best tools and equipment to ensure that a quality job is done, and that our customers are left happy with the results of the high-pressure roof cleaning carried out. This affordable service can prolong the life of your roof and add value to your property by leaving your roof as new as the day you got it. The team at Aabacus Roofing are professional tradesmen and roofing specialists with over a decade in the industry. To find out the range of service we provide, or to get your free no obligations quote, contact us today. You can call us on 0404 397 198 or send enquiries to aabacus_roofing@optusnet.com.au. Based in the outer suburbs of Sydney, we are able to help clients in Ryde, Epping, Gladesville roof cleaning services and more such as roof painting. We provide a full roofing service, including repairs, painting, restoration and more.